Sunday, July 10 7:30 a.m. – 7:30 p.m.
Monday, July 11 7:30 a.m. – 7:30 p.m. Please note online registration closes Thursday, June 23, 2016, 11:00 p.m. Pacific Daylight Time. After this date only on-site registration will be available at the conference registration desk at the Walt Disney World Dolphin Hotel. All early and online registration discounts are expired for on-site registration. Please note there is no single day ISMB conference registration rate. *Discounts offered for purchasing SIGs or Satellite Meetings or Student Council Symposium with conference must be completed in the same registration transaction and cannot be applied at a later date. Payment by fax: Complete the online registration choosing the invoice option, print out the paper invoice and fax to 1+780-414-1664 along with your credit card details using the form available here (American Express, Mastercard or Visa only). NON-MEMBERS OF ISCB: Non-members will be able to join ISCB through the online conference registration system and immediately receive member rates for ISMB 2016. You can either join when you register for the conference or you can join directly with ISCB here: http://www.iscb.org/membership.shtml and then immediately register for ISMB at the member rates. Please do not start a registration as a non-member and leave to buy your membership at www.iscb.org as the system will not recognize your new membership when you return to the registration you started. ISCB MEMBERSHIP RENEWAL: If your ISCB membership is not current or will expire on or before July 12, 2016, you will be offered an opportunity to renew your membership as part of your registration fees through the online system. ISMB 2016 conference fees are charged in United States dollars. No tax is charged or included in the registration fees. Register a minimum of six (6) and receive one (1) additional registration for free - a minimum value of $500.00 *- Offer valid until May 20, 2016. Have your group of at least six (6) register and pay the ISMB conference registration. The person designated to receive the free registration should not register until they receive special instructions from the conference organizers, which will happen after the group's paid registrations are confirmed. It is essential that delegates arriving from outside the US have a valid passport with expiration at least six months after the planned date of entry, and any other required travel documents such as an entry visa. Please ensure that you allow enough time to apply for an entry visa (suggest applications be submitted 10 - 12 weeks in advance ) should one be required for your arrival and participation at ISMB 2016 in Orlando, United States. Paid registration must be received by ISMB 2016 before a visa letter can be provided, so early registration is suggested for all delegates requiring an entry visa. ISCB and the ISMB 2016 conference organizers assume no responsibility for the accuracy of information on any of the above websites, and encourage you to communicate directly with the US Embassy or US Consulate office that services your particular needs for entry into the United States. Invitation letters required for visa applications will be sent with your confirmation after registration and full payment have been received. You must be registered and paid-in-full for the conference in order to receive an invitation letter. IMPORTANT: If you require a visa for entrance register early, it can take time for your visa application to be processed (often 10-12 weeks) - do not delay in submitting your visa application. Optional 3Dsig Evening Session and Dinner (for delegates not registered to the 3Dsig Satellite Meeting) - Friday, July 8 - $80.00. *Please note - An electronic version of the conference proceedings is available as an open access, online-only issue of Bioinformatics. The conference proceedings will not be available in print. Delegates wanting printed copies of papers are encouraged to print the papers they are interested in prior to the conference by accessing the online proceedings. Details for accessing the online version will be posted on the conference home page on or after June 15, 2016. The ISCB Student Council Symposium (SCS12) is a student-organized event featuring keynote lectures, oral presentations and a poster session. In addition to previous years' schedules, a career event will be organized with a variety of distinguished speakers from industry and academia. The Symposium is tailored mainly to undergraduate and graduate students as well as post-docs in computational biology and related disciplines. Note: Student Council Symposium registrants are not required to register as delegates for the ISMB 2016 conference and can instead choose to attend only the SCS12. Note: Registrants are not required to register as delegates for the ISMB 2016 conference to attend a Satellite Meeting. You may select "Satellite only" to register just for the 3Dsig or CAMDA Satellite Meeting. Satellite Meeting registration does not allow access to SIG Meetings. Delegates wishing to attend portions of the Satellite Meeting and portions of one or more SIG must register for both events. The registration fee for the 3Dsig Satellite Meeting includes the evening session and dinner on Friday, July 8. Daily lunches for the 3Dsig Satellite Meeting are included. On Friday, July 8, the 3Dsig will host an evening dinner including a panel discussion and keynote speaker, both on a central topic to Structural Bioinformatics and Computational Biophysics. This session is included in the 3Dsig Satellite registration. Other delegates wanting to attend this 3Dsig evening and dinner session can do so for an additional registration price of $80.00. Additional evening session tickets are available for purchase when registering online. The dinner will be held at the Walt Disney World Swan Hotel. CAMDA provides a forum for the critical assessment of different techniques used in large-scale data analysis in the life-sciences, such as for high-dimensional gene expression profiling. CAMDA aims to establish the state-of-the-art in analysis methods, as well as identify progress and highlight promising directions for future efforts. CAMDA will hold a dinner on Friday, July 8 (6:30 pm) and tickets ($50.00) can be purchased during online registration. Dinner is not included in the CAMDA registration fee. ISMB 2016 will host several one- and two-day Special Interest Group meetings on Friday, July 8 and Saturday, July 9, prior to the main ISMB conference. 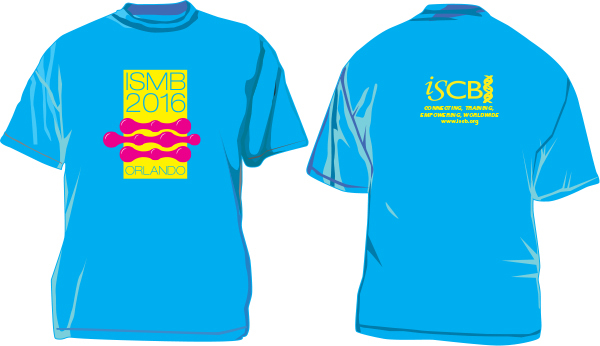 Note: SIG Registrants are not required to register for the ISMB 2016 conference to attend a SIG meeting. You may select "SIG only" to register only for a SIG. Please register for the SIG in which you are most interested so that we can assign SIGs to larger and smaller rooms as needed. All SIG meetings will be held at the Walt Disney Swan World Hotel. NOTE: One-day SIG registrants must also register for ISMB 2016 if participating in any of the main conference sessions. SIG-only registration does not include ISMB 2016 registration. Delegates are invited to register for AKES. The fee includes one hard-copy of the tutorial notes of the tutorial registered for, plus one electronic version which includes notes from both tutorials. Lunch is included in the tutorial registration fee only for delegates registering for a full day AKES program or two AKES programs (1 morning, 1 afternoon session). On-site registration for AKES is not available. Note: You must be registered for the ISMB 2016 conference to attend an AKES program. A small block of student rooms are available on a first come, first serve basis for students who have registered and paid for the conference. Don't delay in booking your room. Please note: onPeak is the only official housing company associated with ISMB 2016. While other hotel resellers may contact you offering housing for your trip, they are not endorsed by or affiliated with ISMB 2016 and entering into financial agreements with such companies can have costly consequences. Conference proceedings will be available as an open access, online-only issue of Bioinformatics, and are not available in print. If you want printed proceedings it is recommended that you print copies of desired papers from the online proceedings in advance. Conference proceedings will be available as an open access, online-only issue of Bioinformatics after June 15, 2016. Wireless internet services will be available throughout the conference facility and is included in the guest room rate for delegates staying at the Walt Disney World Swan and Dolphin Hotels. All refunds will be made in United States Dollars and processed following the ISMB 2016 Conference. · Cancellations received on or before May 7, 2016, will receive a full refund minus a $100.00 processing fee. · Cancellations received from May 8, 2016 through June 3, 2016 will receive a full refund minus a $200.00 processing fee. · No refund of fees will be made after June 3, 2016.